The Maftir of Shabbat Ki Tetze written with purple on the white paper. The Rose bush on the left with a few Rose petals between the words. 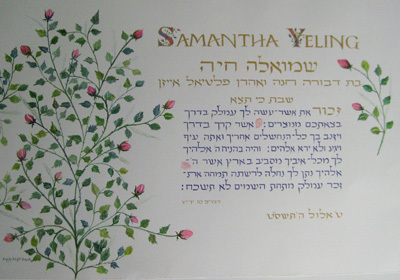 The name of the Bat Mitzvah in gold paint with illuminated caps.